On Thursday, pharma giant Eli Lilly and Co. announced positive results in a mid-stage trial for its experimental new diabetes drug. The company’s stock rose 3% on the news. 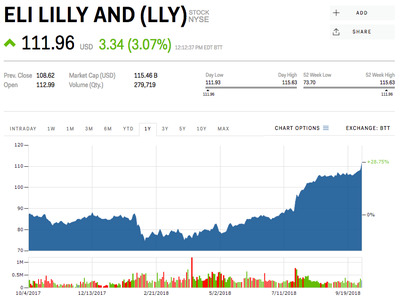 This drug has to potential to boost Lilly’s growing portfolio of drugs extending across the areas of oncology, cardiovascular, diabetes, critical care, neuroscience, men’s health and musculoskeletal fields.